This extra sturdy folding calendar fits on any desk and offers plenty of space for your notes and appointments. 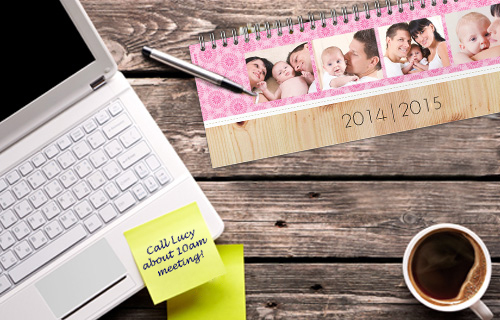 Simply choose from the different designs & layouts to create your unique calendar, personalised with your photos. 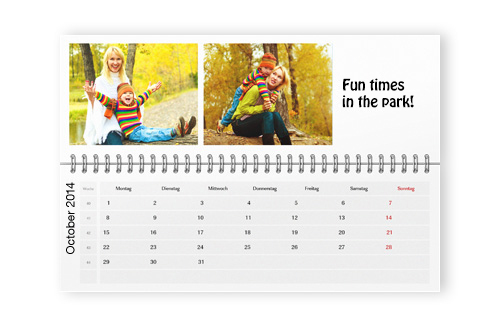 And the best part: you can choose your individual start month to ensure that your calendar makes a great gift idea at any point in the year.